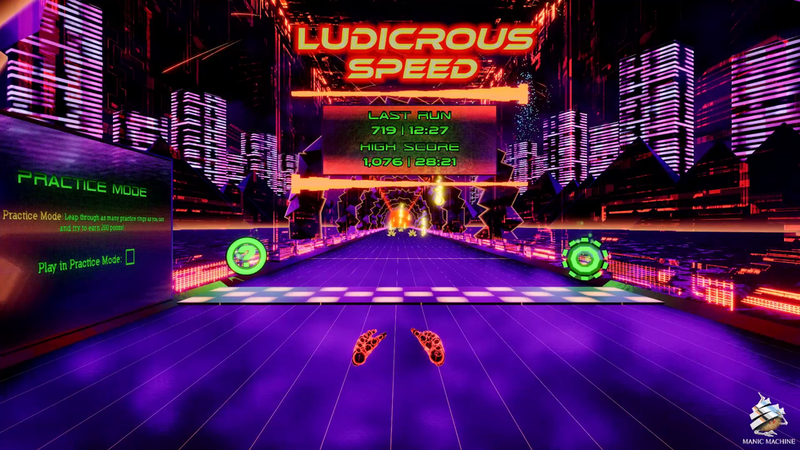 Ludicrous Speed is made for VR. Push your speed to the limit and chase a high score, or go at your own pace. Locomotion controls let you decide how to play. Watch as the world pulsates to whatever you are listening to, from the catchy in-game music to your own soundtrack. Propel yourself through an infinitely generated track that increases in difficulty. Keep going for as long you can survive. Collect points to unlock new worlds, each with its own set of hazards- moving pillars, hoops, rings, and more.